How it works: Using a small protein keratin-based polymer bond to attach extensions to the root. This method uses no heat. 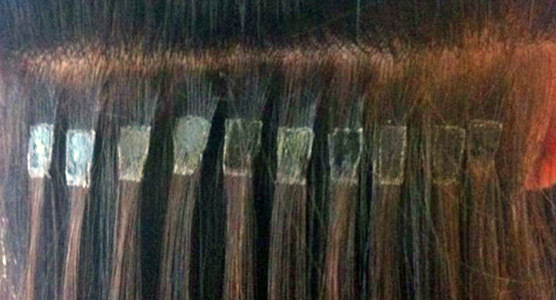 How long it lasts: These extensions can last up to six months with the right care and attention. The perks: Offers more flexibility than hot-glue, and results in more natural-feeling and looking hair. Best for: Perfect for fine or thin hair as well as normal to thick hair. How it works: Your natural hair is sandwiched between the extensions and sealed together with a flat-iron. How long it lasts: About 4–6 weeks before it’ll need to be removed and/or reapplied. The perks: Easy to apply, lies flat, and feels natural to the touch. The drawbacks: Not as flexible as other types of hair extensions. Best for: Thin, fine, or short hair. 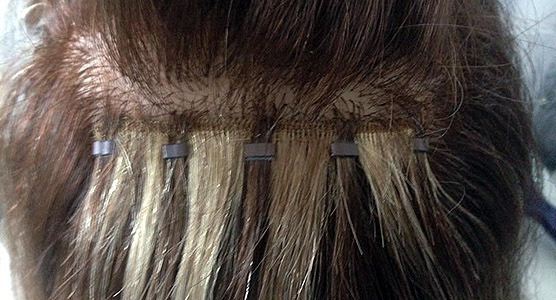 How it works: A stylist applies the hair extensions strand by strand; the extensions are attached to your natural hair via micro-cylinders (they look like tiny beads). 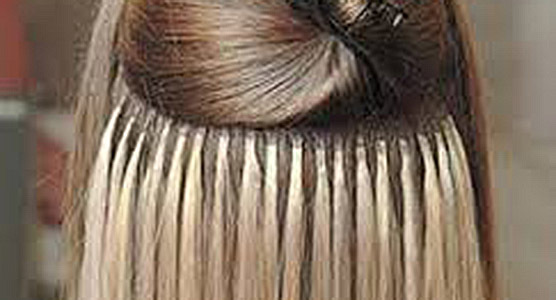 How long it lasts: About 8–10 weeks before it needs to be tightened to prevent breakage. The perks: Easy to add highlighted extensions (without dying your real hair), very flexible, and doesn’t require heat, glue, or chemicals so it’s easier on natural hair. How it works: The stylist applies the hair extensions strand by strand, and uses a heating tool to melt your natural hair and the extension together. How long it lasts: Up to 6 months, but should be removed in 8–10 weeks to prevent breakage, matting, or stress on your new hair. The perks: Very flexible and blends easily with your natural hair. The drawbacks: The glue can damage natural hair if the extensions are not properly removed. 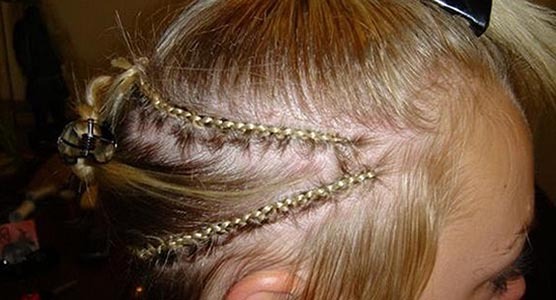 How it works: The stylist weaves your natural hair into tiny braids against your scalp, and then sews the extensions into the braids with a needle and thread. A partial sew-in means only some of your natural hair is woven into braids; some is left out. A full sew-in means that all of your natural hair is braided. How long it lasts: About 8 weeks. The perks: If you do a full sew-in, your natural hair is protected from heat damage and daily maintenance; with a partial sew-in, you may still need to blow dry or flat-iron the part of your hair that is left out of the braid, in order for it to blend with the hair extension. Best for: Coarse or textured hair. How it works: Micro Weft Hair Extension application method is much quicker than the individual strand by strand micro ring or pre bonded method. 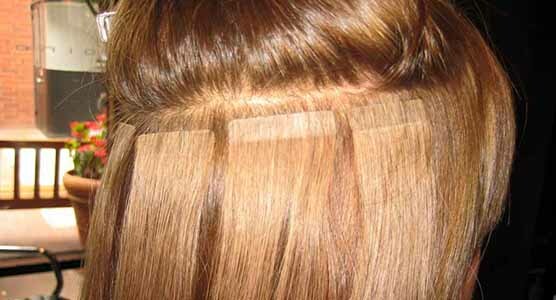 Because there are less micro rings that have to be applied to the hair weft this dramatically reduces fitting time. How long it lasts: With care and regular repositioning of rings they can last up to 3-6 months. 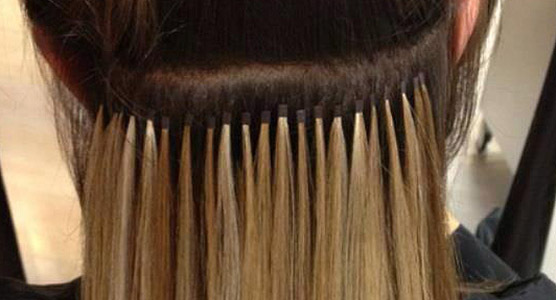 The perks: Micro Weft Hair Extensions are the same a Micro Ring or Pre Bonded Hair Extensions they are un-detectable with hair up. Best for: Ideal for bridal hair or any special occasion or just bored of waiting for your own hair to grow and want an instant change. Micro Weft Hair Extensions is a great budget buster and fantastic for people who want to try Hair Extensions for the first time. Do you have questions? Please see our FAQs page!